NET Worth of SRK, Bollywood’s king khan “Shah rukh Khan” is named as the world’s second richest actor. He has beaten the Hollywood actors like Tom Hanks, Tom Cruise, Clint Eastwood, and Adam Sandler for wealth. 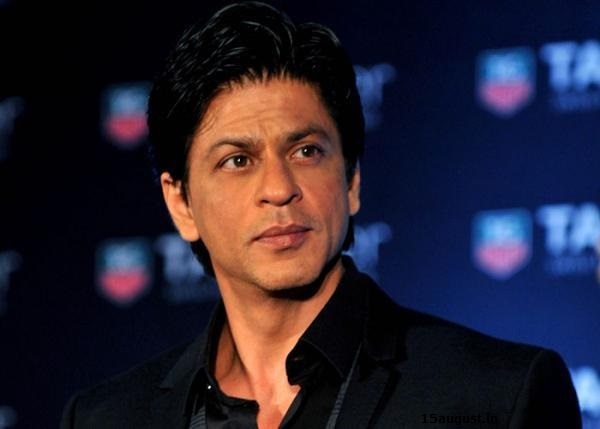 Do you know how much property Shah rukh khan owns? The “Baadshah” of Bollywood has given a great contribution to Indian cinema since years. Let’s have a look at net worth of Shahrukh Khan. The Indian film actor, known as “The King of Bollywood” does not need introduction! Shahrukh was born on 2nd November 1965 in New Delhi. Shahrukh’s father was late Taj Mohammad Khan and his mother was Late Lateef Fatima. He has one sister named Shehnaz. His father and mother died to serious illness. Shahrukh has struggled a lot to achieve this position at which he is right now. After the death of his parents, he left Delhi and moved to Mumbai in the year 1991. Before starting his career in Bollywood, he tied a knot with Gauri Chibber (Gauri Khan) in a traditional Hindu wedding ceremony on 25th of October 1991. They were dating each other since long and faced many complications to get marry. They have three children named Aryan (1997), Suhana (2000), and Abram (2014). Abram is his youngest child born in May 2014 last year with a surrogate mother. Shahrukh khan started his career as an actor with his first movie “Deewana” in 1992. He won Filmfare best male debut award for this first movie. After that he acted in many successful films. However, the biggest hit of Hindi cinema is “Dilwale Dulhania Le Jayenge”. Shahrukh got “Filmfare Best Actor Award” for this movie. His one of the most super hit movies are Baazigar, Kabhi Haan Kabhi Naa, Dil to Pagal Hai, Kuch Kuch Hota Hai, Mahobbatein, Devdas, Swades, Chak de India and many more. He also worked in a TV serials before entering into Bollywood. He acted in serials including Fauji (1988) and Circus (1989). Shahrukh Khan has net worth of $600 million with more than 80 movies in his acting career and other business ventures as well. He lives in a very luxurious house named “Mannat” in Bandra (west), Mumbai. Shahrukh’s Mannat bungalow is worth Rs 15 crore and he purchased it in the year 1995. He also has one of the most luxurious homes in Dubai a “Villa on Palm Jumeriah”. This house is worth $65 million which is gifted. In addition, he also has a palatial bungalow in Delhi and one bungalow in London which is worth GB£20 million. How amazing! Isn’t it? Do you know which cars Shahrukh do you have? He have silver-blue BMW 7 series, sedan Audi A6 , Land Cruiser, white conti GT, white BMW convertible, and blur rolls Royce. He also has Mitsubishi Pajero. How luxurious life it is! Roaming in world’s most expensive cars is a big deal! Shahrukh Khan owns an Indian Premier League (IPL) team named KKR (Kolkata Knight Riders). It is owned by Shahrukh Khan’s company Red Chillies Entertainment in partnership with Juhi Chawla and her husband Jay Mehta of Mehta Group. The captain of this team is Gautam Gambhir. Moreover, the brand value of Kolkata Knight Riders is approximately $57.5 million. Shahrukh’s team has won IPL two times in 2012 and 2014. The red chillies entertainment is a Indian motion picture production and a distribution company located in Mumbai, India. It was established 7th May 2002 by Shahrukh Khan and his wife Gauri Khan. The Red Chillies Entertainment has 50% stake in the Indian Premier League cricket team Kolkata Knight Riders (KKR). Moreover, this company was ranked as a most powerful production house of Bollywood in year 2007, 2008, and 2009. Furthermore, Shahrukh has endorsements including Pepsi, Nokia, Airtel, Emami, Nerolac Paints, Dish TV, Linc Pens, LUX, Royal Stag, Sunfeast, Videocon and many more. Moreover, Shahrukh Khan’s current price per movie is 20 to 25 crores. His price for per endorsement is 2 to 3 crores. He is on top 10 list of world’s richest actor. With great amount of money he is very hard working as well. He is punctual for his movie schedules. He sleeps for only 5 hours during the busy days of his shooting of movie. The net worth of Shah rukh Khan is $600 million including houses, investments and everything. Shahrukh has a great fan following all over the world. You must be one of them who are reading all about Shahrukh Khan! SRK's Wiki Page :- http://en.wikipedia.org/wiki/Shah_Rukh_Khan. SRK's Facebook page :- https://www.facebook.com/IamSRK.